Venezuela’s newly appointed diplomat to the United States called for the support of the international community in ending Nicolas Maduro’s dictatorship and to assist the country in an “orderly transition” of power, during a discussion with international diplomats on Jan. 30. 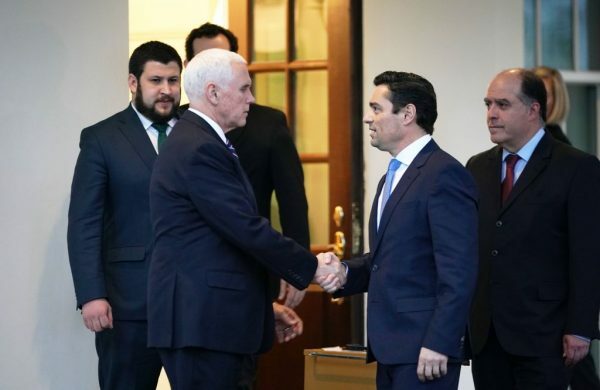 Carlos Vecchio was appointed chargé d’affaires by Guaidó, with Washington’s blessing, on Jan. 25, not long after Guaidó declared himself interim president. Maduro has since refused to step down as leader, raising concerns about how Venezuela will transition to democracy. Just a day ago, Vecchio met with Vice President Mike Pence for an hour at the White House. He told reporters outside that he thanked Pence and the Trump administration for recognizing Guaidó as interim president and for supporting “our fight to restore democracy in Venezuela” amid the country’s ongoing political crisis. Trump and Guaidó agreed to maintain regular communication to support Venezuela’s path back to stability as the interim leader noted the importance of the recent mass protests across Venezuela, according to the White House. Socialist policies introduced by Maduro and his predecessor, Hugo Chavez, have crippled Venezuela’s economy and driven millions out. “They agreed to maintain regular communication … and to rebuild the bilateral relationship between the United States and Venezuela,” White House press secretary Sarah Sanders said in a readout. The top Venezuelan diplomat explained how three types of pressure now need to be exerted in Venezuela: internal pressure from the people in the streets, pressure from the National Assembly—the only legitimate democratic institution—and international pressure. 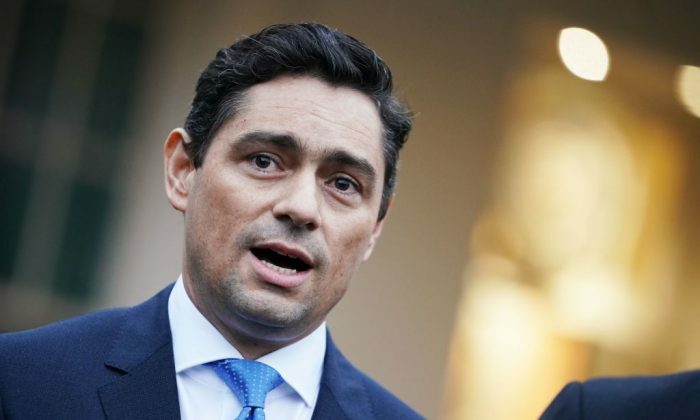 “The dream of freedom is so great that we won’t stop until we reach our goal,” Vecchio said, adding that Guaidó and other deputies of the National Assembly are taking great risks in order to achieve democracy. International pressure against Maduro has continued to grow. Israel and Australia on Jan. 27 joined a growing list of countries pledging their support for Guaidó, including Canada and almost every Latin American country. 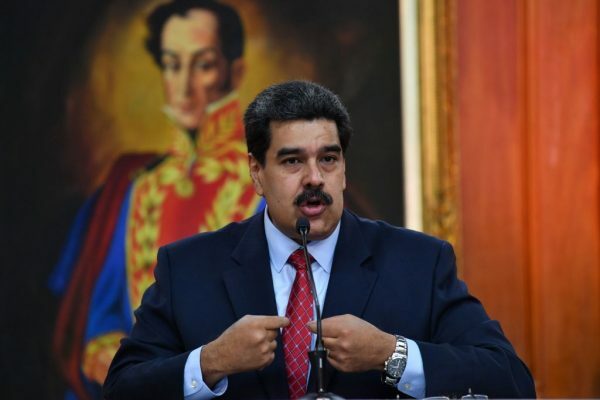 Maduro, who has ruled the country since 2013 and is now in his second term as president, is alleged to have won re-election through illegitimate means. Despite the mounting pressure, Maduro still has the support of the Venezuelan armed forces, even as Guaidó is offering amnesty to soldiers who join his side. The embattled dictator said on Jan. 30 that he is ready to negotiate with his opposition, as Guaidó has continued to call for his resignation in mass protests in the streets. “Finally, the Berlin Wall is falling in Latin America and this will open the doors to a new process where many things will have to be redefined. There will be a new ideological prism through which we will see the economy and human rights,” said Julio Borges, the representative of the interim government of Venezuela to the Lima Group and former president of Venezuela’s National Assembly. But Borges warned that Maduro is still in place, despite weakening military support. “I don’t want you to think that the military are fully supporting Maduro now,” he said. “Let’s be clear—without exaggerating, 99.9 percent of the military do not support Maduro. But we understand if they do not react; it’s because they have been hamstrung by a system that doesn’t allow them to operate as they will. Meanwhile, David O’Sullivan, the European Union’s ambassador to the United States, said on behalf of the EU that the bloc fully supports the efforts of the National Assembly and Guaidó.